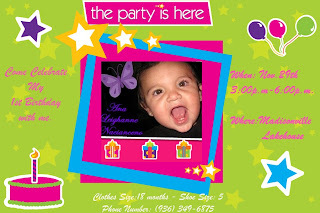 This is an invitation I made for my niece's 1st birthday next weekend it's from scrapblog.com . I can not believe she is going to be one next Friday. Man time sure does fly by.